With all of the insanity over the NHL and NHLPA making nice before the disclaimer hits, there was a bit of excitement generated over a tweet the other night thanks to New York Post hockey writer Larry Brooks. While Brooks is definitely a pro-player writer in his analyses of the game and his run-ins with John Tortorella are legendary, I'm not sure where he's getting the idea of two teams swapping conferences in a shortened season. That's simply ludicrous. From the perspective of the Jets, you'd love to be in the Central Division for one reason: travel. It's a heckuva lot nicer to get to places like Chicago, Nashville, St. Louis, and Detroit when you're heading out on the road. Flights to Miami, Tampa Bay, Raleigh, and Washington aren't that bad either, but there's less time logged in the air heading to closer cities if you're Winnipeg. For Columbus, no trips out to Los Angeles, San Jose, Phoenix, Anaheim, or Vancouver is pretty decent as well. They would log a ton of hours in the air heading to these cities, and that's precisely the same reason Winnipeg would enjoy a swap for a shortened season. But here's the catch: there's no season. At least not yet anyway. This kind of negotiation would only apply if there was already an agreement to play a shortened season this year, and I'm pretty sure that no deal has been agreed to, even in principle, at this point. Even if there was a season, I would assume that the Jets would gladly play in a division like the Southeast Division where the division standings can flip with a few wins and losses. Florida won the division last season after it looked like Washington would take home another division title, and Carolina struggled mightily in its season. Heck, Winnipeg was right in the thick of the playoff race until about two weeks remained when their furious push fell short. 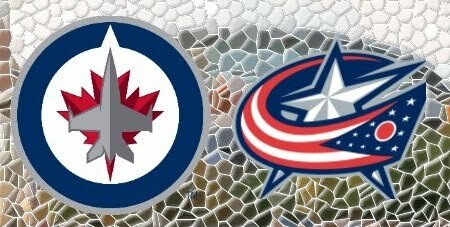 If Winnipeg were to move to the Central Division with their 84 points, they would have finished the season ahead of only Columbus in that division, meaning they would have been the cellar dwellers of the Central. Their 84 points would have left them a 17 points back of fourth-place Chicago, and there's a good chance that Winnipeg would have finished with a lower point total since they would have played the Central Division juggernauts more often. While I'm quite certain the fans in Winnipeg would like seeing the Datsyuks and Zetterbergs, Toews and Kanes, and Rinnes and Halaks more often, they would no longer see the Staals, Stamkos, Ovechkin, Backstrom, Lecavalier, and Versteeg. I won't deny that the idea is enticing, but the thought of being eliminated from the playoffs some time in February during a shortened season is not. To add a little more dirt on top of this story's grave, Columbus has repeatedly said that they were unwilling to switch conferences because of Detroit's strong draw for fans. They were adamant against Detroit swapping to the Eastern Conference because the Red Wings help to fill their building when they come to town. It's not rocket science to see that in a shortened season, when wins count for so much more, that a strong rivalry with a division foe can fill your building if a playoff spot is on the line for either team. For Columbus, a streak of wins against a few divisional foes could put them back into the playoffs and really fill the building! I appreciate that Brooks may have a source who is feeding him this information, but I'm fairly certain that the NHL has nothing on the radar for realignment during this time whatsoever considering all of the other larger issues sitting in front of them right now. Quite frankly, whoever this "source" is, if there is one, should no longer be considered a source at all with this kind of idiotic information. Winnipeg will remain in the Southeast Division, and I like their chances a whole lot better than moving to the Central Division for 48 games.